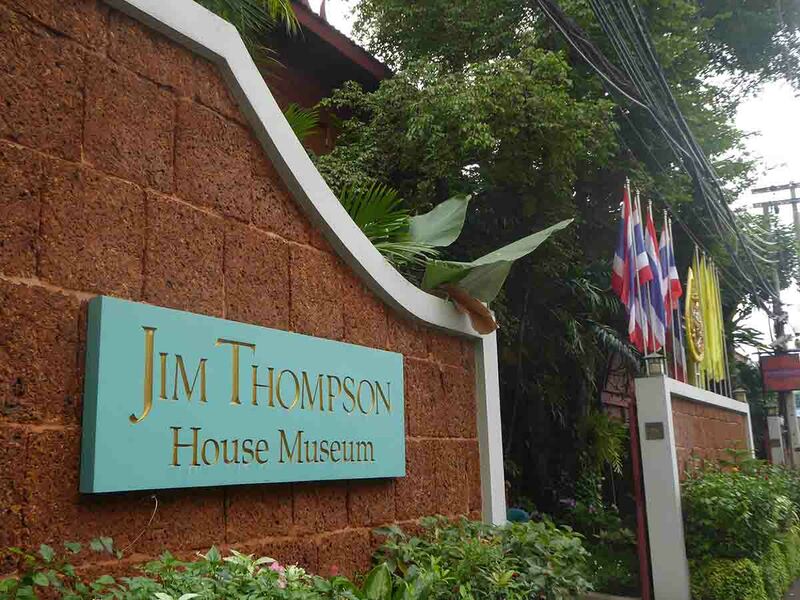 Jim Thompson was an American entrepreneur who helped restore the Thai silk industry after World War 2 while making a vast fortune. 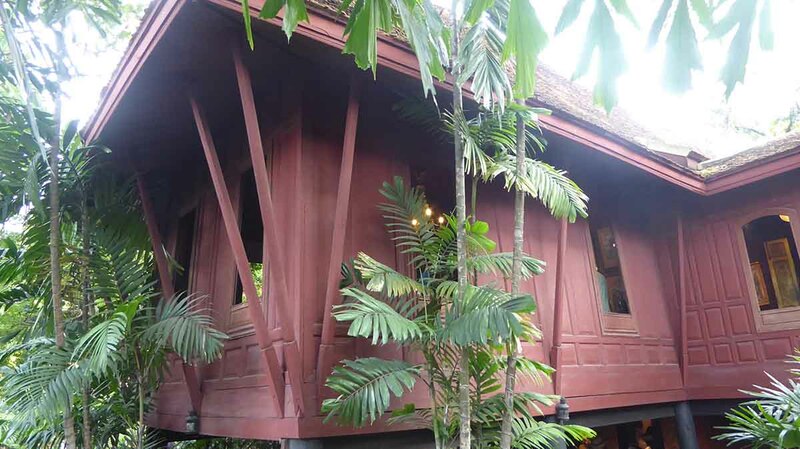 The Jim Thompson House Museum is his former residence which was a complex of six traditional Thai-style teak houses, collected from all over Central and Northern Thailand and re-assembled as his private canal-side residence. The houses are over 200 years old. He vanished mysteriously in Malaysia in 1967 after going for a walk from which he never returned. After his disappearance, the house became a museum with everything exactly as he had left it. 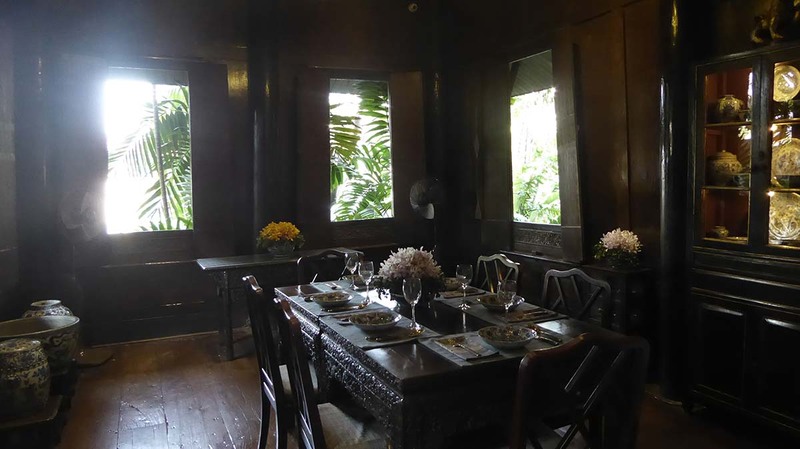 Thompson was a great collector of Asian art and antiques which are on display inside the house. Outside of the main house, there are also many wonderful paintings, sculptures, and ceramics to admire. 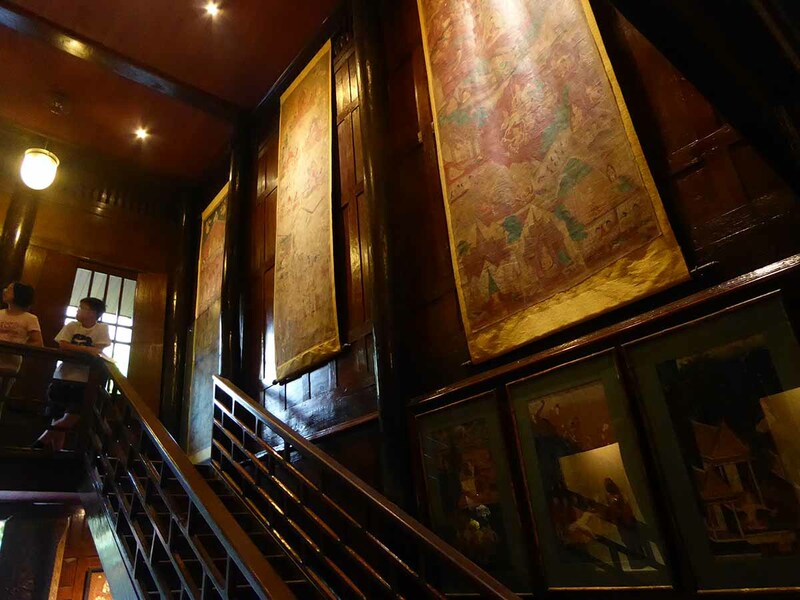 There is also an art gallery within the complex which has rotating exhibitions of traditional and modern art, textiles, and culture. 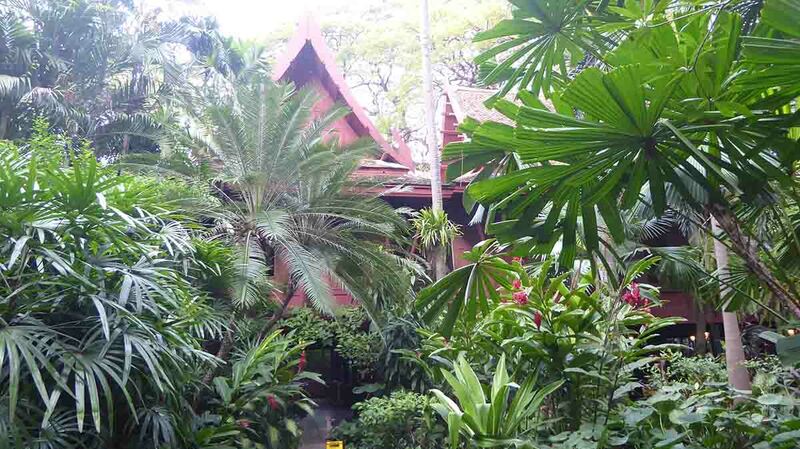 You cannot wander around Jim Thompson House on your own. You must join a guided tour. Tours leave every 20-40 minutes and are available in English, French, Japanese, and Chinese. Photography is not allowed in the house. The house has an attractive canal-side location with a wonderful jungle-like garden containing many tropical plants and trees. 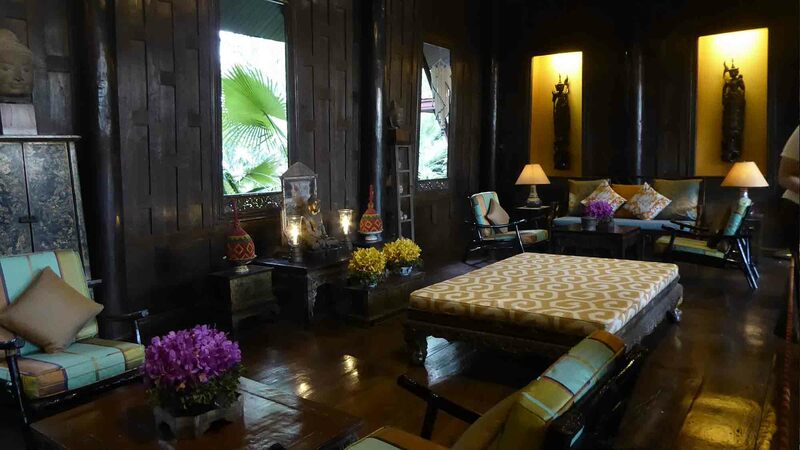 There is also a Coffee Shop, Bar/Restaurant, and a shop selling Jim Thompson branded silk products and souvenirs. The museum belongs to the James Thompson Foundation and profits go to charities that they support. 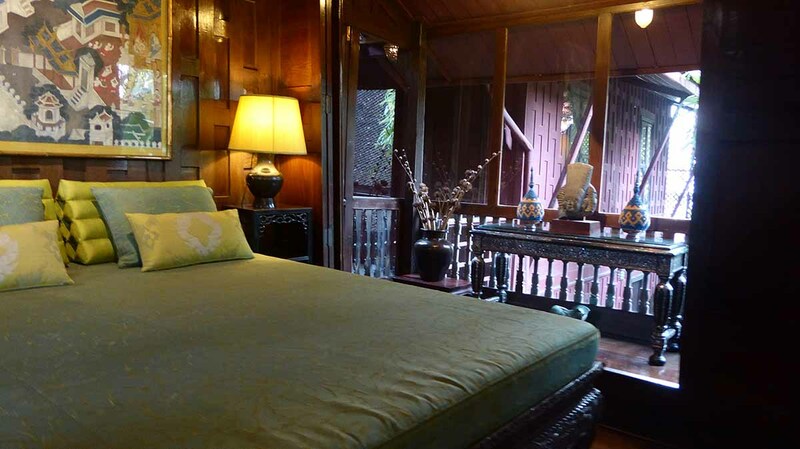 The Jim Thompson House & Museum is a short walk from the National Stadium BTS station. Location: 6, Soi KasemSan 2 Rama 1 Road. Opening Hours: 09.00-18.00 daily. Last admission & tour 17.00. The shop is open until 20.00. Rules: No photography inside the house. No shoes/bags inside the house. Free lockers. Guided tours only.